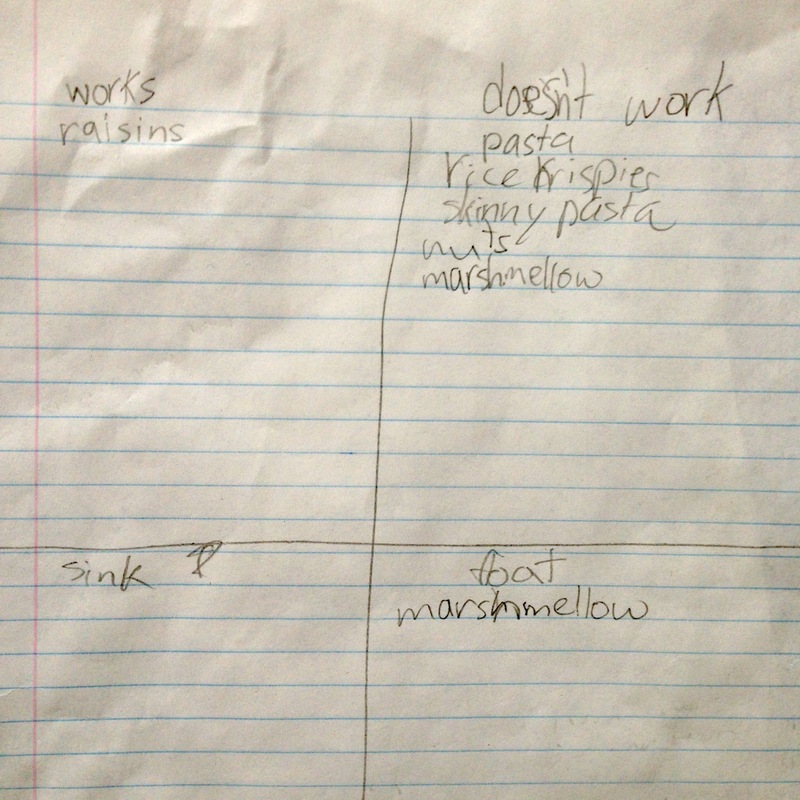 Add raisins to soda and watch them alternately sink then float. Watch them rise and fall. 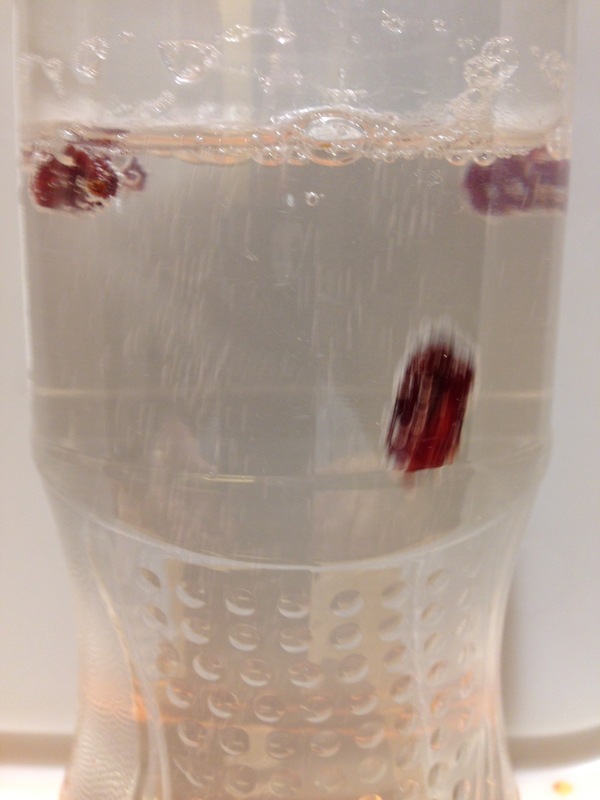 The carbon dioxide in the soda comes out of solution and attaches to the raisins. 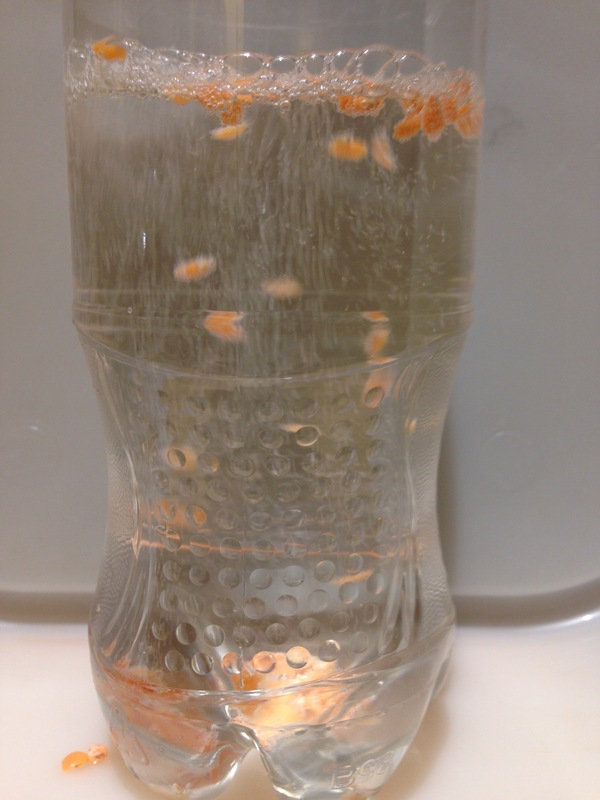 This decreases their overall density, so they float to the surface. At the surface, the bubbles pop, the raisin becomes more dense again, and sinks. Lentils move faster to start, but get soggy more quickly. Does not work with cold soda. I assume the gas does not come out of solution as easily, so that fewer bubbles attach to the raisins.